All three of these new additions are gorgeous, highly pigmented, bright, shimmering shades. 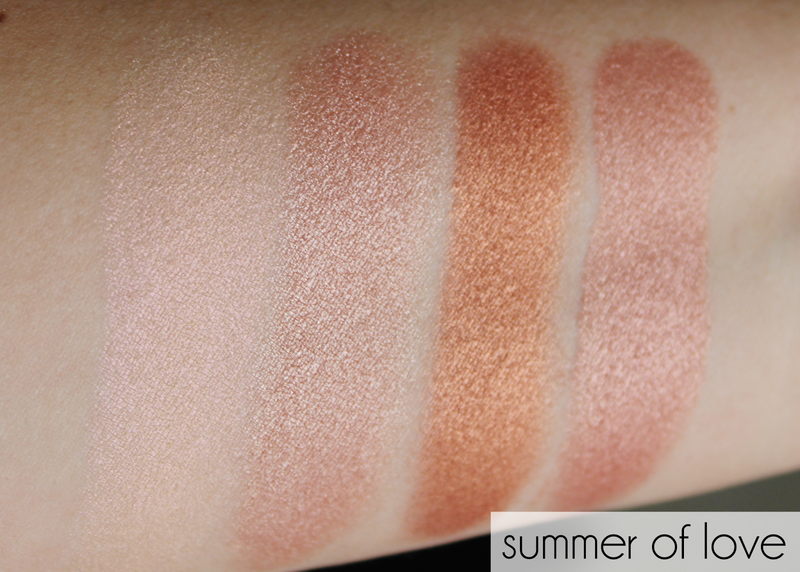 The bronzer in hot summer of love contains three bronzer shades side by side. They're well defined enough for you to be able to use each shade separately, or, you can swirl your brush over all of the colours and you'll get the shade on the far right of my swatch. I like that shade the best, so that's the one I'll use a bronzer. You easily pick up a huge amount of colour on your brush and can easily go overboard with this bronzer because it's so pigmented, so less is more and you can build it up! The lightest shade in this bronzer could also double up as a golden highlight if you used a smaller brush just on that one shade. The blush in peachy pink kisses is so spring fresh, and I really love the pretty pinky peach shades you get here - it's my absolute favourite of the bunch. You can pick out just one of the three shades on your brush, or swirl the whole thing together. 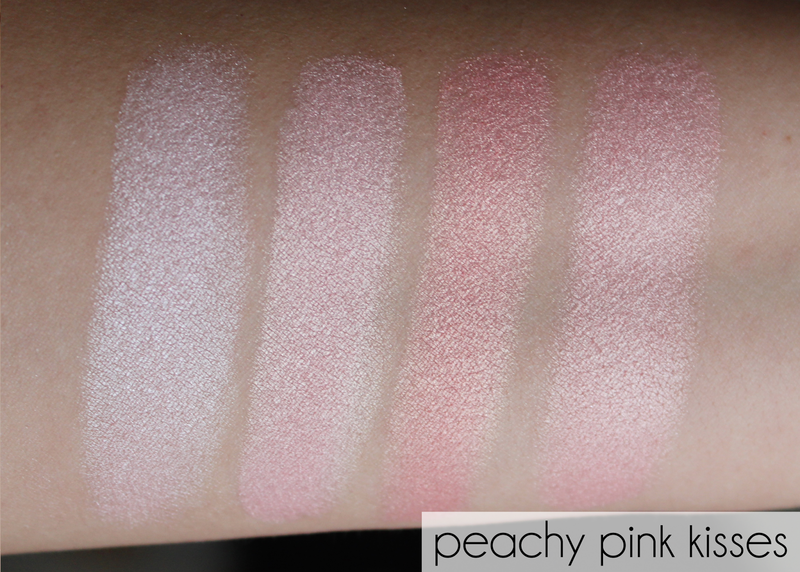 In my swatch the shade on the far right shows the whole blush brick swirled together. Personally I'll be using this one as more of a highlighter than a blush, as it's really very shimmery and would look to much on me all over my cheeks, but as a highlight it's stunning. Maybe I'd use it as a blush if I had clearer skin, but I find putting too much shimmer on can draw attention to an uneven skin texture. Different to the other two new blushing hearts, Goddess of faith contains just one high-lighting shade in a really pretty pale pink toned champagne. 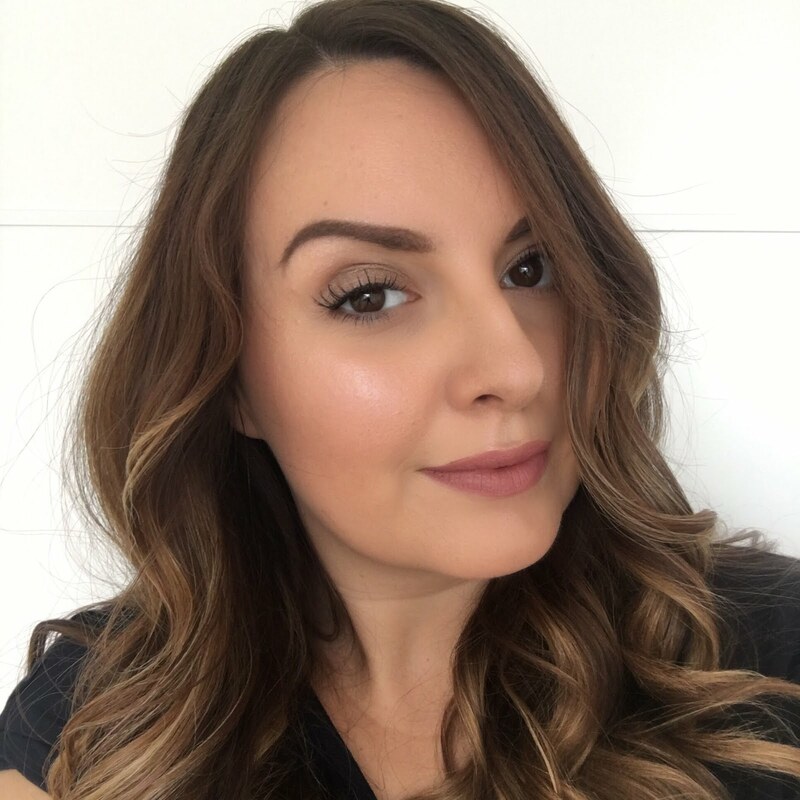 It's a very full-on highlighter for some serious glow action, but again it's buildable, so you can decide how intense you want the look. I found this one to be a little more finely milled than the shimmer in the peachy pink kisses, so it gives a shine without any obvious glittery particles. All of the new blushing hearts shades are available now at makeuprevolutionstore.com. Do you own any of the blushing hearts collection? Which is your fave? Awww....these are all so very pretty! Love the shades and the packaging. This will be in my purchase list. My wish list keeps growing too! Yep, they do give a full on glow! Holy cow, I need every single one of these, they look amazing!!! Haha, more for the wish list! These look amazing, and they sound great too! I'll be picking a few of these up soon.